There’s the excuse that they can’t repeal ACA by the reconciliation process, even though, as Michael Cannon of Cato explains, “ACA’s health insurance regulations are inherently budgetary in nature.” This seems absurd, but apparently there is no arguing with the Senate parliamentarian. There oughta be a law against voting “yes” on something you do not understand well enough to explain to your constituents. Then most of this bill would be a “no,” since it’s a bunch of references to provisions of other laws. It appears to be largely about redistributing ACA’s redistribution of wealth, for example, premium subsidies (“tax credits”) and Medicaid funding in expansion and non-expansion states. There are some readily understandable provisions that Republicans should favor—as surely the people who elected them do. The bill sets the penalties on the individual and employer mandates to $0. 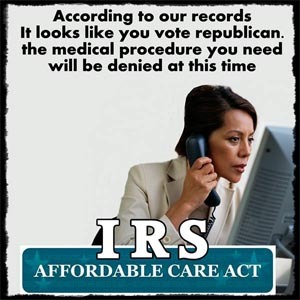 That way people could choose to reject unaffordable, unusable “coverage,” without being punished by the IRS. They could use the premium savings to buy actual care if they needed it–and the bill expands Health Savings Accounts (HSAs). It also repeals ACA taxes. These are taxes on medical care or insurance, so they help make care and insurance unaffordable. Why not separate these provisions into a separate bill: the Health Insurance Choice and Healthcare Tax Relief Bill? Americans could then see how big the tax increases are in ACA, and how sickness taxes are being used to fund big government. The rest of the bill is swamp funding. It transfers money from taxpayers to “health plans” to subsidize the unaffordable premiums of some people and to keep insurers from bailing out when they lose money despite the high premiums. It also tries to staunch $800 billion of the Medicaid hemorrhage, which largely resulted from expanding the program to nondisabled adults. With or without this bill, ACA-compliant health plans are in a death spiral. 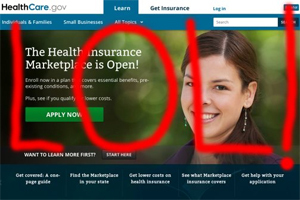 Soon even Democrats will admit that the Obama legacy bill has failed. Unfortunately, they will probably propose finishing the job of abolishing health insurance and forcing everyone into Medicare (which already has at least $40 trillion in unfunded liabilities) or Medicaid (where patients get 20 to 40 cents worth of care per dollar spent). Arguably the worst thing that ACA/UCA did was outlaw affordable true insurance, for catastrophes like trauma, heart attacks, and cancer, at a price determined by risk. It severely limits the availability of “excepted health benefits,” such as indemnity insurance for certain dread diseases. In other words, it eliminates competition, the free-market mechanism for keeping prices down. It assures that third parties like UnitedHealth Group get a cut of almost every dollar spent on medical care, even though out-of-pocket payment is far more reasonable. It assures that hospitals can continue to demand extortionate prices. The Republican plan is a betrayal of electoral promises. But if it passes, and eliminates the mandates, more and more Americans will declare independence from the oppressive third-party cartel. “Wedge of freedom” practices and direct patient care will serve them well for most needs. Health-sharing ministries are a great option for many people. Automobile insurance can help with the cost of injuries. 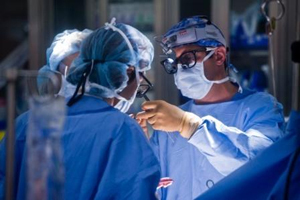 Medical tourism, as to Oklahoma City, can save a fortune for elective surgical procedures. The Administration could change the rules that restrict excepted health benefits. Being without insurance for emergencies and major illnesses is very scary. Treatment is probably available, but cost can be bankrupting. But then ACA-compliant insurance can bankrupt you even if you stay healthy, or it can block your access to the best treatment because of narrow networks. ACA/UCA is unsustainable. Only a free market can make American medicine great and affordable again. 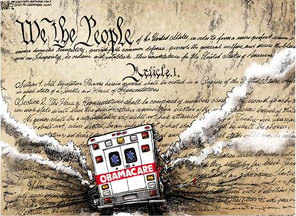 Until enough lawmakers get the courage to do the right thing—repeal ACA and drain the healthcare swamp, American patients and doctors must avail themselves of every escape hatch. The trickle of freedom seekers can turn into an unstoppable force. About the author: Jane M. Orient, M.D. obtained her undergraduate degrees in chemistry and mathematics from the University of Arizona in Tucson, and her M.D. from Columbia University College of Physicians and Surgeons in 1974. She completed an internal medicine residency at Parkland Memorial Hospital and University of Arizona Affiliated Hospitals and then became an Instructor at the University of Arizona College of Medicine and a staff physician at the Tucson Veterans Administration Hospital. 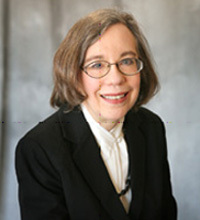 She has been in solo private practice since 1981 and has served as Executive Director of the Association of American Physicians and Surgeons (AAPS) since 1989. She is currently president of Doctors for Disaster Preparedness. Since 1988, she has been chairman of the Public Health Committee of the Pima County (Arizona) Medical Society. She is the author of YOUR Doctor Is Not In: Healthy Skepticism about National Healthcare, and the second through fourth editions of Sapira’s Art and Science of Bedside Diagnosis published by Lippincott, Williams & Wilkins. She authored books for schoolchildren, Professor Klugimkopf’s Old-Fashioned English Grammar and Professor Klugimkopf’s Spelling Method, published by Robinson Books, and coauthored two novels published as Kindle books, Neomortsand Moonshine. More than 100 of her papers have been published in the scientific and popular literature on a variety of subjects including risk assessment, natural and technological hazards and nonhazards, and medical economics and ethics. She is the editor of AAPS News, the Doctors for Disaster Preparedness Newsletter, and Civil Defense Perspectives, and is the managing editor of the Journal of American Physicians and Surgeons. This entry was posted in National on June 27, 2017 by admin.